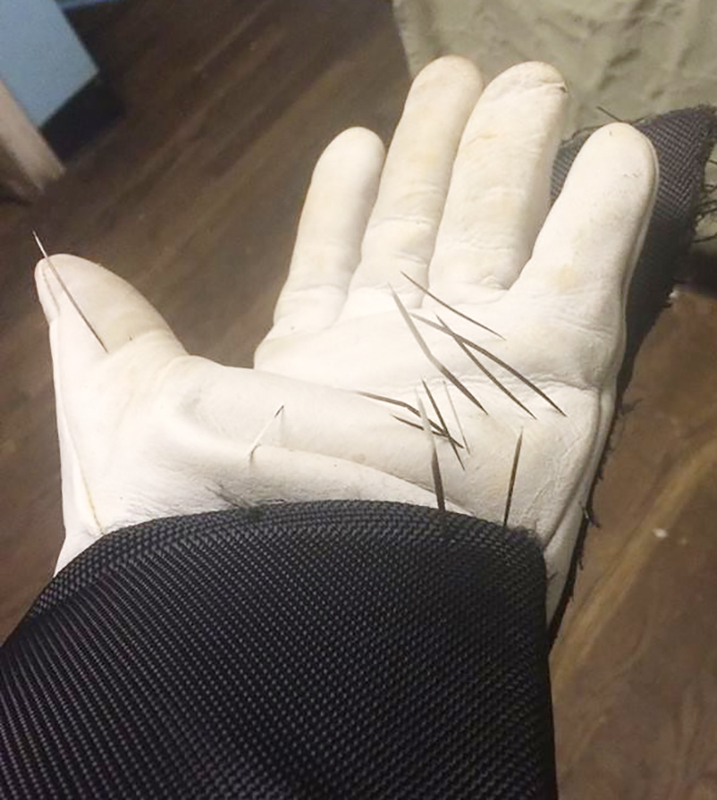 If you need to handle a porcupine in a cage trap, make sure to wear protective clothing including leather gloves and arm covers. The North American porcupine is found in New England, the upper Midwest and western United States and most of Canada. Porcupines’ back, sides, and tail are covered with thousands of stiff, needle-like, finely barbed hairs (quills) for defense. Porcupines cannot “shoot” their quills, but the quills come out quite easily on contact. 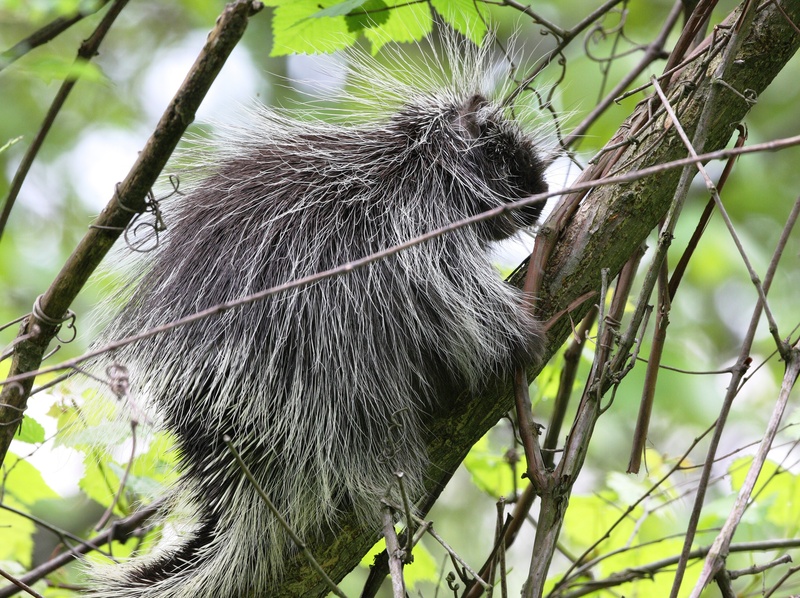 Porcupines are a little awkward on the ground but they are excellent climbers, spending much of their time in trees. Porcupines are herbivores, eating inner tree bark, stems, and leaves. They seem to prefer smooth-barked trees. They are also known to gnaw on wooden cabins and homes, tool handles, garden hoses, and vehicle tires. They active all year long, primarily at night. Porcupines seek shelter in trees, caves, rock outcroppings, hollow trees, and dense brush. Dogs never seem to learn to avoid them, so keep dogs confined or on a leash when a porcupine is in the neighborhood.